Now that you've installed the Dubb Chrome Extension you're ready to start leveraging the power of video from your computer and mobile phone. maximize the impact of your communication by providing content relevant to the recipient. In order to realize the benefits of the Dubb Chrome Extension, you must provide access to your webcam and mic though Google Chrome. Access is solely used for recording videos for you to share and content is never saved for any other reason than this. 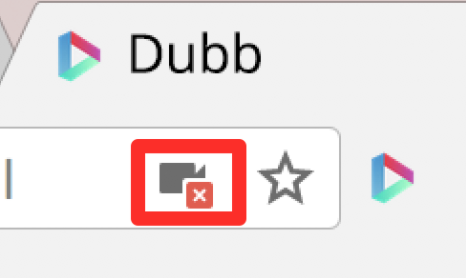 While installing the Dubb Chrome Extension you can allow access to your mic and webcam. 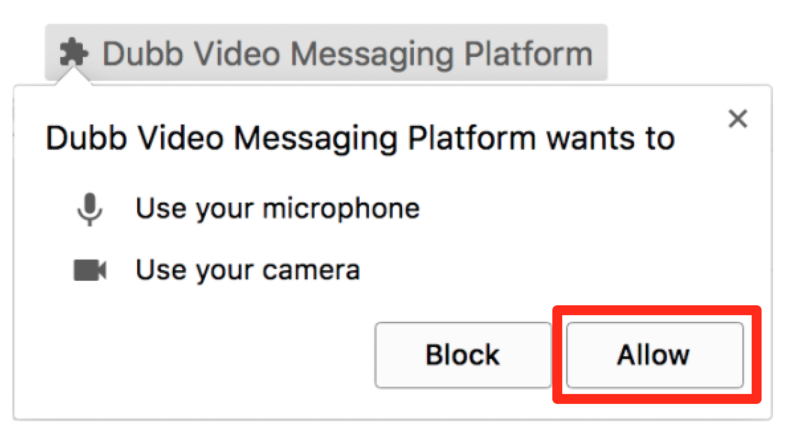 If you do not allow mic and webcam access in the initial setup process you can also provide access in the browser toolbar by clicking the video icon in the URL bar. To get the full experience with Dubb, make sure to the Dubb iPhone app and sign in to the Dubb website.